The Residence at Tamarind Cove features 126 luxury suites, and 12one and two bedroom luxury townhouses. Tamarind Cove Marina is a minimum 80 marina (the only one on the Nevis). 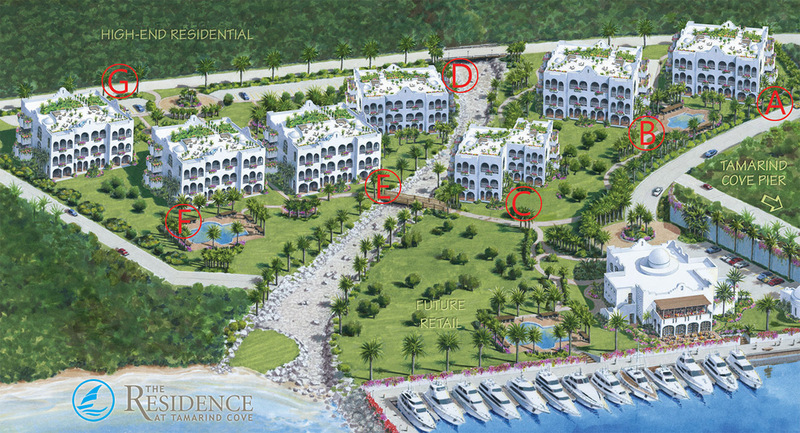 Marina Village – will consists of high-end shops, cafes and a marina chandlery. Entertainment Complex – to include a Monte Carlo styled Private Members Casino (the only one on Nevis), a Las Vegas-style Night Club and Lounge, Restaurant and Conference Facilities. Fractional ownership of a condominium or townhouse. Each Fractional ownership is also given a fractional ownership in a yacht slip. Full ownership of single bedroom condominiums or single bedroom/two bedroom townhouse. Full ownership of yacht slips. Each yacht slip purchase includes a fractional ownership in a condominium or townhouse. Click here for more information on Tamarind Cove Marina Development.